Laravel is a web application framework with an expressive syntax. Laravels concept is that, development must be an enjoyable and creative experience for developers. It attempts to take away the pain of development by making basic tasks easy, for eg: authentication, routing, sessions and caching without sacrificing application functionality. They combine the best of what we have seen in other web frameworks, including the ones in other languages such as Ruby on Rails, ASP.NET, MVS and Sinatra. Laravel is easy to access, yet powerful, providing tools needed for large and powerful applications. Laravel has achieved its place among the top open source php frameworks within a short span of time. It provides an MVC(Model View Control) architecture in a more object oriented way for building reliable web solutions. It has many built in components and supports code modularity that helps to simplify source code development. A powerful Object Relational Mapper(ORM) namely Eloquent. Blade, an awesome templating engine. A CLI tool namely Artisan, which helps in many phases of application development including database migration. A modular architecture supported by composer. Quintet Solutions interacts with its clients for using the best available technology that is well suited to their requirements. Laravel is one among the PHP frameworks widely accepted by our crew. The advantage of Laravel is its a PHP framework. 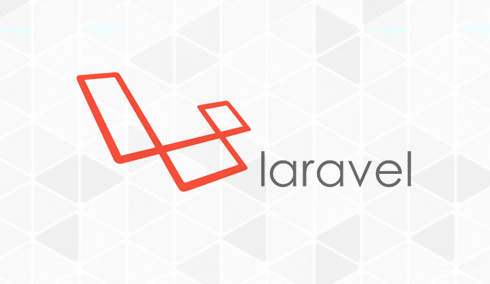 Development with Laravel helps to attain code reliability and maintainability. If you have a web application in mind we offer web development with Laravel, one of the popular PHP framework, for a better and maintainable application. Quintet Solutions always prefers to work by linking ideas and efforts with the latest of technologies. Thus we have a talented group of people experienced in deploying web applications with Laravel and many other PHP frameworks. With Laravel in hand, we can help in bringing your requirements to live. Our development architecture strongly believes in teamwork. Programming logics are managed by a team of programmers and front-end layouts were woven by a team of designers.This coordination makes us easy to modify and upgrade any of the layouts or logical work flow of your product. By combining our pattern with the team work environment provided by the Laravel framework, we can provide better support and maintenance for you. If you want a product in quick time we are here to help you. Our systematic and structured approach in coding plus the advantages of laravel make sure to deliver solutions within the given time span. Do you want to include new features to your product without interfering the working system? Do you wish to have multiple versions of your product? We use solid Version Control System for making these tasks easy.